Off-Page SEO refers to the various Search Engine Optimizations which can be done “Off” your website or, blog. It means you can implement most of the Off-Page SEO without (actually) logging in to your Blog Dashboard or Website Admin Area. Today I will be sharing my 7-Proven Tricks with you for doing Off-Page SEO properly. It will give your blog or website a significant boost in Search Engine Results Page (SERP). However, you have to implement those tricks (very) carefully to get the best result. All of these mean a better, profitable and growing business. To get most out of this post, I recommend you to use a Pencil and a Piece of Paper to take instant notes. Are you a Digital Note Taker? If you are not a completely new blogger, you have probably aware of the fact that Social Media Marketing is an extremely powerful yet economic marketing channel to promote your website or blog. And in the most cases, it also requires comparatively less amount of input efforts too. To get the most out of SMM, you have to plan and develop a Social Media Promotion Strategy suits best for you. You have to perform several A/B Testings to know the Best Working Social Media Promotion Strategy for your blog or website (in a Data-Driven manner). For example, I maintain only a few Social Networking Channels for this blog and promote my articles in the 2:1:1 ratio. That is I post 2 best articles from others, 1 from my recent articles and another 1 from my old articles in every 4 articles I promote through my Social Media Channels. I think this provides my readers the maximum value for their time and effort which is my No.1 Goal from this blog. Social Media Signals (e.g. Likes, Shares, Bookmarks, etc) really help Search Engines like Google, Yahoo, Bing, etc to rank a website properly. I recommend you to start blogging in order to make your Off-Page SEO better. If you own a Business Website (e.g. E-Commerce Store, Product and Services Website, etc), it is high-time for you to start regular blogging for your business website. It will help you to make your Website’s Off-Page SEO better. Blogging is One of the Best Inbound Marketing Channels. What if you own a Blog already? Guest Blogging refers to write blog posts on other blogs (not owned by you). Doing so will make your Link Building stronger and hence your Off-Page SEO will be better. Please Note: You can also Start Guest Blogging for this Blog also. Blog Commenting is one of the most popular methods of doing Off-Page SEO. But you have to do it carefully. Otherwise you might be hit by its negative side effects. If you want to implement this method in your Off-Page SEO Strategies, be sure to comment only on “Do-Follow” Blogs (just like this blog) within your niche. By doing this your Off-Page SEO efforts will get better returns. To become almost perfect with your Off-Page SEO, you have to submit your blog (more specifically, your high quality articles) to the various Forums, Article Directories, Discussion Boards, etc. Just like Blog Commenting, always make sure that you are submitting your articles to Do-Follow Lists within your niche. I will publish an Updated and Hand-Picked List of a Few A-Class Forums, Article Directories, Discussion Boards, etc shortly here in this blog. I’ll update this post with that link. However, I strongly recommend you to Stay Subscribed to get Instant Updates from this blog. Please Note: You can also Submit Articles for this Blog also. This method is somewhat similar to Article Submission. But it is more targeted one. In this method, you will be answering public questions and post links of your related blog posts in your answers. So chances are really high, you will get a decent number of visitors on your blog shortly after answering the questions. This method can be beneficial for long-terms too. Because each and every people who will be searching the answers of those questions that you have answered already, will be able to see your answers. Even after 10 years from now. For example, I am still getting some traffic from my first blog (now down for redesigning) just for answering a single question on Quora (a Popular Online Question-Answer Board). I am not giving the link to that question and my answer as you might experience an “Error 404: Page Not Found” message if you check my link as that blog of mine is temporarily down for maintenance and redesigning. E-Mail Outreaching is the another popular and effective method of doing Off-Page SEO. To apply this method successfully, it is better to have an E-Mail Subscribers List of at least 1,000 subscribers ready. But if you do not have that much E-Mail Addresses with you right now, it is, still, a big OK. However, you should aim for a Big E-Mail Subscribers List for your blog or website from the very first day of your blog or website launch. If you want start E-Mail List Building for Free, you can try MailChimp without spending a dime and if you are interested in some Professional (but Paid) E-Mail Marketing Service, it is absolutely safe to go with AWeber or, GetResponse. Signup for a Free MailChimp Account. Signup for a Free AWeber Account. Signup for a Free GetResponse Account. Believe me or not, some Smart People start collecting E-Mail Addresses even before their blogs or websites go live. Even I have started collecting E-Mail Addresses for my Upcoming Personal Website. You can find a Screenshot for the same below. There are mainly 2 (two) types of E-Mail Outreaching that help in Off-Page Search Engine Optimization. In this method a content publisher (like you and me) sends his or her regular updates (generally, new blog posts) to all present in his or her E-Mail List. In this case the content publishers mail Industry Leaders about the very special and high quality posts in his or her blog, special deals, discounts, announcements, etc. If your E-Mail List is really small, you can put a link of your blog or website in your Outgoing E-Mail Signature. This method really works good. By doing so you can make people “Talk and Search” about your blog and website. If you can deliver good value to your readers and customers, Search Engines will also start rewarding your blog or website with higher PageRank. While I am pretty sure that all or most of those Free Methods mentioned above are sufficient enough to give your blog or website a significantly higher PageRank, however, you can, of course use some Paid Methods for doing Off-Page SEO if your budget supports or you want extremely first results. To do this properly, you have to take help of some Online Advertising Agencies. Or, you can Try Our Digital Marketing Solutions (14-Days Risk Free). Please Note: We take New Projects strictly on First-Come-First-Serve basis. However, I strongly recommend to implement all of the Free Methods of doing Off-Page SEO even you are taking the help of Paid Methods. Read: What is SEO: Why Do Your Blog Need It? I have shared my 7 Simple yet Powerful Off-Page SEO Tricks in this post. 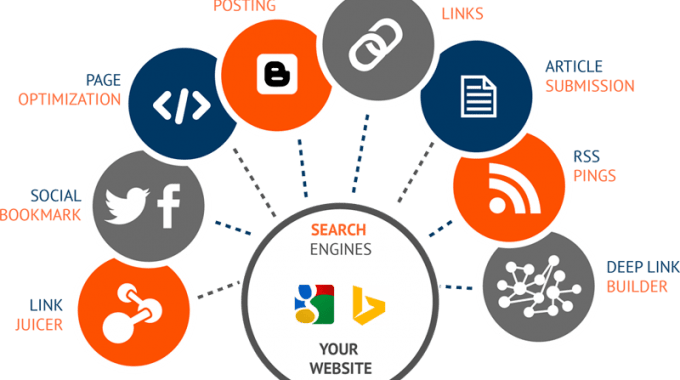 However, there are several other methods like Word of Mouth, Business Card Exchange, Street Leaflet Distribution, Free Awareness Campaigning, Public Library Giveaway, etc work just fine to serve the purpose of doing Off-Page SEO for your blog or website. I recommend you to start implementing these methods to your blog one-by-one and step-by-step right from today. Be sure to implement them carefully. Otherwise you may experience adverse side-effects. Let me know which method worked best for you just by leaving a Quick Comment below. And of course do not forget to share this post with your beloved ones who are struggling with Off-Page SEO on their way to professional blogging.